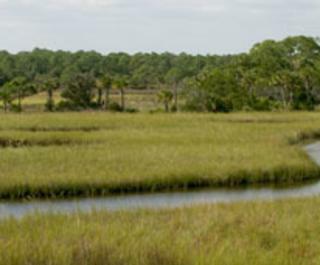 Scenic Spruce Creek Park is located on 1,637 acres in Port Orange. Its 536-foot boardwalk begins more than three miles of nature trails leading to the 15-foot observation tower and continues to Rose Bay. The tower overlooks the marsh area near Spruce Creek. The park features include a picnicking area, a playground, camping area and a canoe launch.